Catholic Medical Center, one of the largest hospitals in New Hampshire, has announced plans for a major expansion of its Manchester facilities. CMC announced Tuesday it wants to add 220,000 square feet and increase its overall capacity from 266 to 330 beds. CMC spokesperson Lauren Collins-Cline says the plan is driven by increasing demand and that on most days the hospital operates at or near capacity. Collins-Cline says the project will include new facilities for cardiovascular care and the emergency department. “This does bring along with it the opportunity for significant job growth at CMC,” she says. CMC does not yet have an estimate on how many jobs the expansion might create. The project could cost as much $175 million if it wins approval from Manchester city officials. A meeting before the zoning board is scheduled for next month. What Does The Rise In Hospital Mergers Mean For N.H.? Two of the state's largest hospitals have taken the first step toward merging into a new healthcare network. 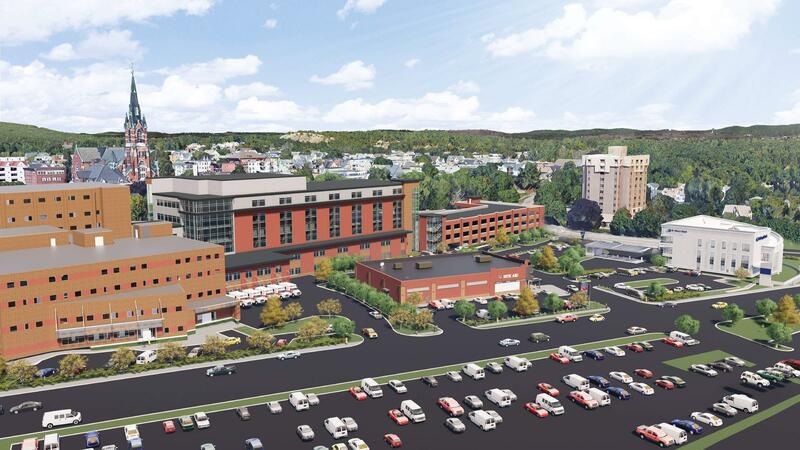 Dartmouth-Hitchcock and GraniteOne Health, an existing group that includes Catholic Medical Center, signed a letter of intent Thursday to combine under a new entity. But this is not the first hospital partnership that New Hampshire has seen in the past few years.